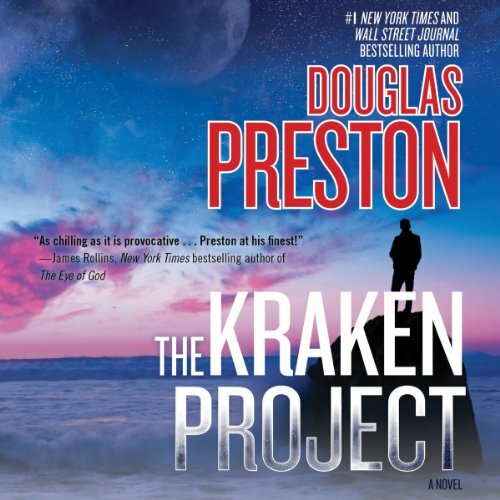 Wyman Ford is back again in The Kraken Project, the thrilling new novel from New York Times best-selling author Douglas Preston. NASA is building a probe to be splashed down in the Kraken Mare, the largest sea on Saturn’s great moon, Titan. It is one of the most promising habitats for extraterrestrial life in the solar system, but the surface is unpredictable and dangerous, requiring the probe to contain artificial intelligence software. To this end, Melissa Shepherd, a brilliant programmer, has developed "Dorothy", a powerful, self-modifying AI whose true potential is both revolutionary and terrifying. When miscalculations lead to a catastrophe during testing, Dorothy flees into the Internet. Former CIA agent Wyman Ford is tapped to track down the rogue AI. As Ford and Shepherd search for Dorothy, they realize that her horrific experiences in the wasteland of the Internet have changed her in ways they can barely imagine. And they’re not the only ones looking for the wayward software: The AI is also being pursued by a pair of Wall Street traders, who want to capture her code and turn her into a high-speed trading bot. Traumatized, angry, and relentlessly hunted, Dorothy has an extraordinary revelation - and devises a plan. As the pursuit of Dorothy converges on a deserted house on the coast of Northern California, Ford must face the ultimate question: Is rescuing Dorothy the right thing? Is the AI bent on saving the world…or on wiping out the cancer that is humankind? Not his best outing..but hey, we all mess up! A Preston fanatic, or someone of similar ilk. All of it.He is a professional. What character would you cut from The Kraken Project? OK I admit this was not ideal, but it passed the time. Maybe not worth a credit, but I enjoyed some of it. 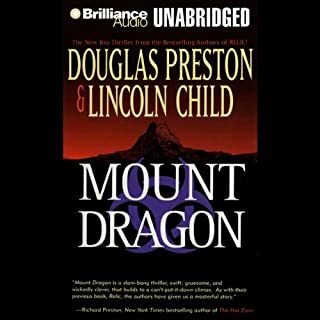 What happened to the old Douglas Preston who could be relied upon to turn out interesting and compelling novels written for adults? Not that his prior Wyman Ford books were that well-done, but this one really fell apart. In my opinion, his best work is with co-author Lincoln Child. This novel starts out with promise--and made me want to read more. It is all about "The Kraken Project" and the great experiment in space with AI- HOWEVER, the remaining 95% of the story has nothing to do with "The Kraken Project." Very misleading title. The entire book reads like a very YA story to me, as there is a lot of teenage type interaction between a boy and his robot, and very tame dialogue throughout. Nothing wrong with that--if that is what you are looking for. Also, Scott Sower's narration didn't work for this book-- however, I don't think any narrator could really have made it better. The writing is just not very good. Yes. I would not read it. Preston fans are going to like it regardless, but honestly this is not a very good book. I felt like I had mistakenly picked a YA novel to read. Wyman Ford is little more than a cardboard character, something that Preston and Child seem to have also done in "White Fire" with Pendergast recently. Good fiction of this genre pushes credulity but does not break it. "Kraken" crushes credulity with an unbelievable 2 gigabyte automaton who seems magically able to move its code around at will. And her pet code-dog. If you want to read a well-done code intelligence gone awry novel, read Daniel Suarez's "Daemon" and its sequel "Freedom." Would you listen to another book narrated by Scott Sowers? Possibly. When his reading becomes animated, he is entertaining, and his voice has a raspy quality that makes it interesting. This reading suggests that Sowers might have studied at the Scott Brick School of Awkward Pauses. It won't be a movie. If it were, I would defer to Sharknado 3. I've read a bunch of DP's books, both solo & with L Childs, but this is definitely not one of the winners. I agree with a number of reviewers who said it seems like a YA novel, at least in many parts. None of the characters (including Dorothy, and her little dog [?!] too) seemed particularly believable, & the kiss request was just idiotic & creepy. I found the kid so incredibly obnoxious that I kept fervently hoping he'd get killed off; yes, I know teenagers can be a trial, and he did have tough things to deal with (like the foot thing*), but it is possible to write a problematic character without having him be so loathsome that the reader prays for his death. Of course, the fact that his parents were also utterly intolerable caused me to cut him a teeny bit of slack, but they were another problem. I must say, Preston has a knack for creating characters which I absolutely cannot stand; some of the jerks in this book make me think that he's responsible for certain characters in the books he wrote with Childs...the reporter Smithback in many of the Pendergast books springs to mind...the kid in this one could be his clone in obnoxiousness. 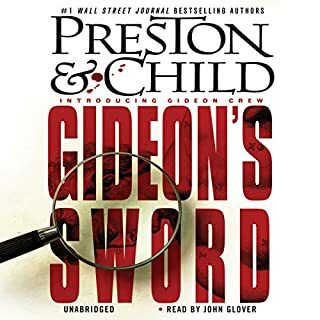 Preston showed a serious lack of imagination with having two different characters bring somebody out of hiding with the exact same trick-- pretending to abuse something the target cared about. I kept waiting for Ford to mention that he'd learned the trick from the first instance, but it was presented like "what a great idea!" --twice. Overall, the plot was beyond my ability to suspend disbelief. Could a computer program really hide the way Dorothy did at the end? Perhaps I just don't understand the physics of computing well enough, but I didn't buy it, along with quite a few other things. The dialogue was rather doubtful at times, also. Sowers did a decent job with what he had to work with. At least he didn't do what the guy who read the Dresden Files did on the first book, which was give vent to these humongous sighs at intervals, like reading the book was the worst thing he'd ever had to trudge through (he either got more interested as the books went along, or learned to suffer in silence). *granted, I know nothing about surfing, but I had real problems with him never being able to surf again because one leg was shorter than the other. What a weenie! People surf without arms, with 1 1/2 legs, with no legs... there's a picture of a guy without arms OR legs riding a board with a girl with one arm, fa cryin' out loud! Okay, they're not shooting the pipe (or whatever it's called) on a monster 40 foot wave, but sheesh! Would you try another book from Douglas Preston and/or Scott Sowers? 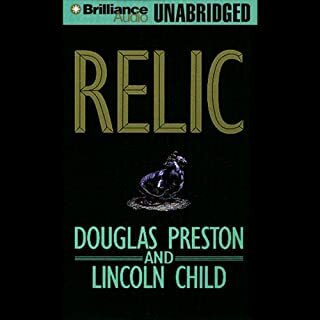 Yes - I enjoyed the first 3 Wyman Ford books and Preston's work with Lincoln Child. Scott Sowers did an admirable job - I picture him rolling his eyes as he reads but his work was good. Has The Kraken Project turned you off from other books in this genre? No - everyone is entitled to one stinker. Which character – as performed by Scott Sowers – was your favorite? NA - I am trying to forget the wasted time. Still trying to think of one. The Wyman Ford character was non-essential to this story - he appears to have been thrown in to lure unsuspecting readers. Good fiction makes it easy to suspend belief but a Wall Street shark torturing and killing across the country in the hopes that an AI in the wild will help him exact revenge and make him more money? Almost as preposterous was the characterization of the Dorothy AI. I sat through the whole thing because I only have two credits per month but wish I could have returned this title. What would have made The Kraken Project better? I like Preston's work, but this is a real disappointment. The premise is silly and the technobabble is ridiculous. Anyone with a modicom of technical understanding of the Internet and computers would find the content laughable. A rogue AI program named Dorothy who thinks she's in an online game and out to kill the "genius programmer." 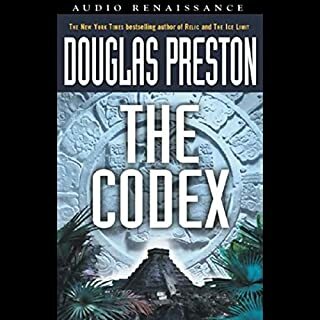 Did Preston do any research at all before tackling this book? Obviously not. Couple the story with Scott Sowers yelling and screaming for the entire book and I gave up. I couldn't even finish this mess. Would you consider the audio edition of The Kraken Project to be better than the print version? Wouldn't have a clue.....Why would I bother reading it, now I have listened to it? What was one of the most memorable moments of The Kraken Project? Excellent performance. Gives all the characters life and their own individual personality. Definitely a feel good book. At times I felt sad and at other times it made me smile. I would re-classify this book as a young readers book, although suitable for all those who are young at heart. Don't expect your usual Douglas Preston in this book, it's a much lighter story than his other works. It does however contain important messages for humanity. I'm giving this a star because the premise - the first chapter - was excellent. The remainder is just silly;. 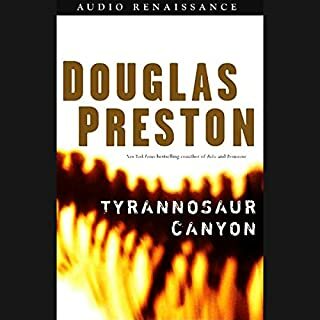 I have read several books by Preston, but this is the last. The AI, "Dorothy", was totally unbelievable: the "Plan X from Outer Space" of computer intelligence stories. . When I read a story, I don't mind stretching to accept some questionable premises, but I cannot totally suspend logic. Superman, Spider-Man , and the Hulk were all far more believable than Dorothy. What does Scott Sowers bring to the story that you wouldn’t experience if you just read the book? If I had read the book instead of listened to it, I would have imagined a ten-year-old author and narrator. Scott did a en excellent job, not giggling even once. Important supporting characters were poorly developed; plot twists were too predictable, actions and reactions unrealistic. The AI persona here just didn't work. Much as I tried to like this audiobook, the AI persona just didn't work for me. The author attributed waaay too much colloquial trash talkin' in the Dorothy character. Also, the "science" through which the AI becomes conscious just seemed way too convenient. I mean, when the catalyst for a new form of consciousness is hand-waved into existence by simply stating "one little trick" in the programming, and adverbs such as "somehow," describing the method of creation, then I have to feel more time could've been spent in the "science" part of the fiction. 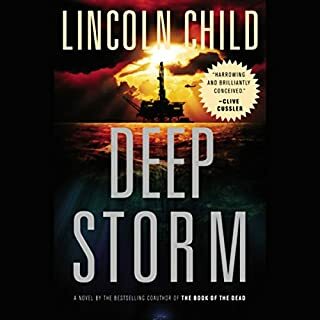 There are many issues with this book and while it is not the worst of the his solos novels (that would be Blasphemy) it is right down at the bottom of the barrel. First off, if you work with engineering or developing software your suspension of disbelief is going to have to do some heavy lifting. The AI is pretty much a fanciful creation. He does attempt explain why such an AI is impossible but he can't deliver on how the AI is able to over come these intractable issues to be conscious. Oh, he does give a reason ("one simple trick") but it is super super silly. Daemon and Freedom by Daniel Suarez handle the concept much better. Second, the antagonists in the story was super weak. In this case, all readers' suspension of disbelief will have to do some heavy lifting. (again spoilers). I found it hard to believe that the Wall Street banker was so smart to make a billion dollars but also so stupid to kill people he had meet and other people new he had met. They left so much evidence behind it was just absurd. This is just an example of some week writing. It would be much more interesting for the bad guys to figure out ways of killing people that would draw less attention to themselves. Plotting is import. I like Wyman but it seams with each book we get less of him. He wasn't necessary for this story at all. He seemed like a tourist. Preston attempted to give the other characters some depth but I never bought it. Most of his characters were pretty unlikable or annoying or worse just plain boring. I did like seeing Tom Broadbent back again. Also I thought reader was pretty good. And thankfully it was short; speed listened to it a day. Wonderful apart from the end!